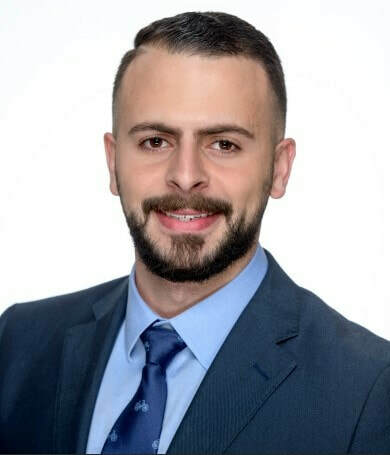 I spend my day meeting with clients and potential clients, helping them to identify their future financial goals and tailoring financial plans that will help in reaching those goals. The chance to make a positive impact on people’s lives by helping them to have a financial plan which makes their future more secure. How long have you lived in Bloomington and what brought you here? How did you land in Bloomington and what has kept you here? I moved around quite a bit from CA, FL, NY and finally ended up in Bloomington, IN where I found the right opportunity for my professional career. Bloomington reminds me of home, people are caring and there is an open community that welcomes everybody. I just discovered Leonard Springs Nature Park and really like it. Either at the pool (Bryan or IU) or coaching my soccer team games at Karst Farm Park. My coming summer vacation, going home to (Jordan) and to Greece. Tell us about your job, its responsibilities and what you enjoy about working there. Our firm's focus is comprehensive financial planning for clients. We believe that financial advice is more than just investment advice. Some of my daily responsibilities include collaborating with lead advisers to deliver strategic planning strategies and detailed financial plans to clients and communicating with clients to ensure client relationships are maintained. I enjoy working in a team setting and knowing that my colleagues and I all share the same goal of helping our clients. I have lived in Bloomington for two years now. I moved here two weeks after completing my undergraduate studies for my career at Hurlow. Where can you be found on the weekends and spare time? In my spare time I can be found snuggled up with my sassy tabby cat named Junebug, sipping on coffee from any of our local coffee shops, enjoying live music at The Bishop, or catching theater with Cardinal Stage Company. Netflix – The Office or Parks and Recreation. Hulu – Bob’s Burgers! Why did you join YPB? Moving here without knowing anyone was difficult, especially working in an industry where I was the primarily the youngest. YPB allowed me to meet other liked minded young professionals who were ambitious and driven. It helped me get out of my comfort zone when it came to being in a brand new city and made me feel like a true Bloomington resident. Let us (re)introduce you to YPB – Young Professionals-Bloomington. Our group was established as hYPe in 2010 and our first event was held at Scotty’s Brewhouse in January 2011. Since then we have hosted nearly one hundred events for local YPs ranging from volunteer, social, or professional development activities to our annual 10 Under 40 Awards. We are a program of The Greater Bloomington Chamber of Commerce. Our mission is to create a network of young professionals in the greater Bloomington area that fosters personal and professional development through relationship building, skill enhancement, community enrichment, and career advancement opportunities. If you’re a recent grad, new to town, or just want to forge deeper connections in the community— join us! We want you to love where you live. Our volunteer steering committee of 13 is comprised of YPs from a diverse array of industries and companies in Bloomington. The committee is also now split into subcommittees focused on professional/personal skills development (which we call #adulting), civic engagement, arts and culture, social/networking, and marketing. We meet monthly to plan events throughout the year in each of these categories and most are free and open to any young professional looking to build new connections in Bloomington. Have any event ideas? Let us know! We create programming for YOU. The luncheon takes place on February 1 and tickets ($13—includes lunch) can be purchased from The Greater Bloomington Chamber of Commerce here. Lastly and most importantly, THANK YOU for your past support of hYPe and your ongoing support of YPB. We look forward to building on our record of creating meaningful programming and forging new connections for our young community. 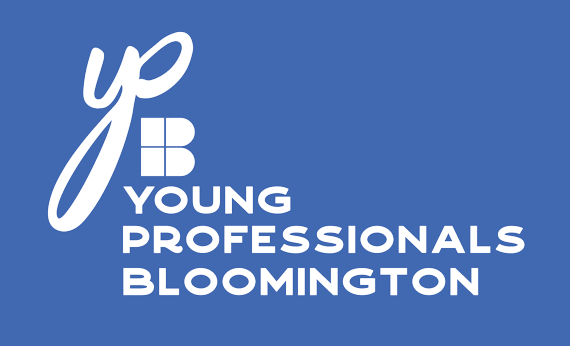 Welcome to the new Young Professionals Bloomington - YPB!